whatever you are, be a good one: Moleskine, the legendary notebook on my desk! Moleskine, the legendary notebook on my desk! I am now a proud owner of a Moleskine notebook. It's even the special Woodstock 40th anniversary edition! Sadly, Moleskines can't be found in Armenia, so I had to wait to get it from somewhere else. I'm so thankful to my friend Gohar, who brought it for me right from Italy! When I posted about the Moleskine in Facebook, I was surprised to see that so many of my friends are its fans and seem to know why Moleskine is special and is not like any other notebook. I love everything about this notebook. The quality of the paper, its smell, and the expandable pocket! "Moleskine is a family of notebooks with a rich history that has captured the hearts and minds of people the world over." 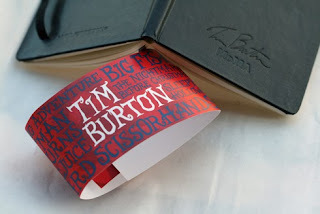 If you are not familiar with Moleskines, read further for some interesting info I digged on the web. Moleskine (pron. mol-a-skeen’-a) is a brand of notebooks, planners, diaries, sketchbooks and albums manufactured by Moleskine Srl, an Italian company based in Milan. Moleskine notebooks are typically bound in oilcloth-covered cardboard, with an elastic band to hold the notebook closed, a sewn spine that allows it to lie flat when opened, cream colour paper, rounded corners, a ribbon bookmark, an expandable pocket inside the rear cover, all packed in a paper banderole. Moleskine is a brand supported by worldwide communities of enthusiasts who write, sketch, paint and draw on Moleskine notebooks. These communities often share images of decorated pages through blogs, social networks or photo and video sharing platforms. A small interview with Maria Sebregondi, who is in charge of brand equity and communication for Moleskine. 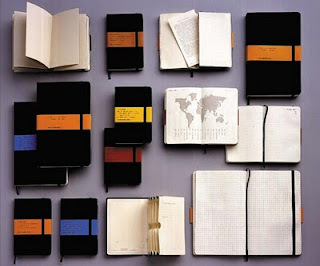 Moleskine is culture, travel, imagination, memory, personal identity. It is a collection of independent tools that accompany everyday and extraordinary events. A Moleskine notebook becomes an integral part of one’s personality. It is a basic, compact and intelligent accessory. Symbolic and practical elements are combined in one story-telling object that releases energy and emotions collected over time. Moleskine is a notebook that tells a story. Its place in history is as an anonymous keeper of sketches and notes, before they became famous pictures or pages of well-loved books. Moleskine is also a ‘book yet to be written’ and the notebook’s owner is the person writing it. p.s. 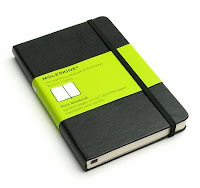 I love how Moleskine is using the social media, the communities, fan art websites etc. It's a great brand, really. YouTube channel MoleskineArt - watch cool videos of Moleskines. I have heard about moleskines about 3 years ago, but couldn't find one in Yerevan and forgot about it until I saw your picture. And again I want to become a part of community and decided to order a hardcover plain moleskine from ebay. Do you know a better place to buy? The best option is to have someone to bring it from US or Europe.